The F2000 transcended from a racing specific disc into the road range. With the big power increases of modern day sport saloons and hot hatchbacks, combined with the increasing popularity of track days, there was a demand for a disc which could cope with high operating temperatures and gruelling conditions. 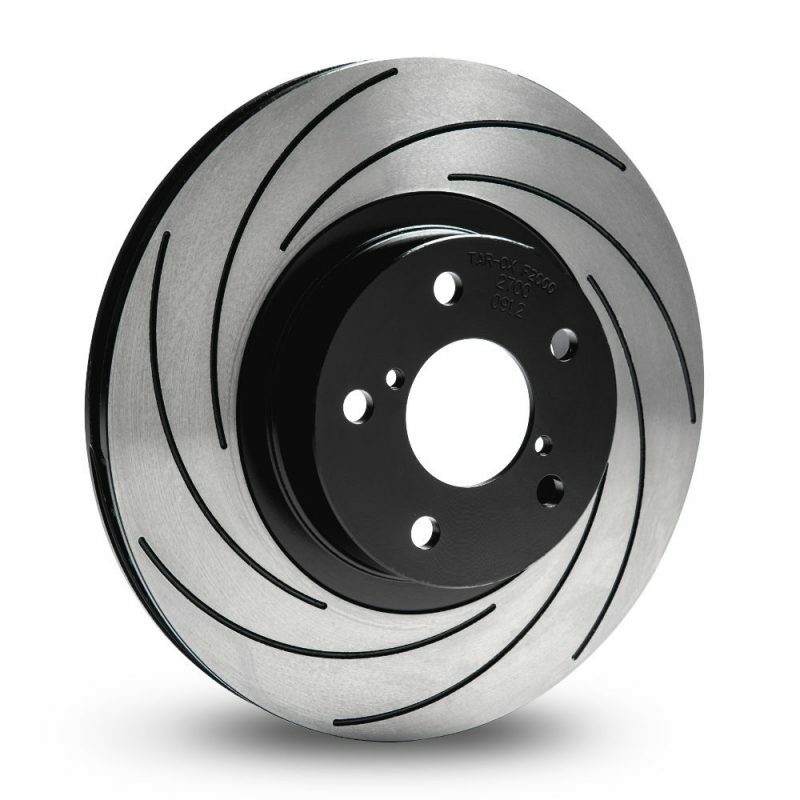 The F2000, first developed for use in touring cars over 18 years ago and often found in the TAROX range of big brake kits, has forged a reputation as the toughest performance aftermarket brake disc available. We have even observed a number of high end vehicle manufacturers using F2000 ‘style’ discs on their range topping models. Spiral grooves are the perfect compromise of cooling and integrity: the F2000 will feature between 7 and 9. As with all TAROX discs, the F2000 is manufactured using only the highest quality high carbon TUV approved castings and features the unique TAROX heat treatment for strength and durability, final hand balancing for the smoothest finish ensuring perfect contact and a quick bedding-in process and a final, anti-rust treatment.